The Internet of Things – Yes you are using it everyday! The Internet of Things in Lynnetalk means less wires. You probably don’t even realize how many things in your home right now are part of the “IoT” family. Do you have a wireless printer or one that is connected through your modem so that all your computers and tablets can access it. How about a smart TV. Yes – it is part of the IoT. Basically anything in your home that is connected through wi-fi to the internet is part of the IoT. My smart meter is one of my favourites – not only can I control it from my phone but so can the Hydro company. In the summer during a heat wave, they will turn my air conditioning down to help control possible black/brown outs. (I just thought I was having a hot flash every day at 5 pm). Every day the IoT is adding new features and items faster than we can keep up. The main conduit for the IoT for the everyday person seems to be your phone or tablet. Some of them we don’t even realize are happening. Hyper-Targeting – A catchy phrase that basically means everything you do on the internet is being tracked and analyzed. Do you have a mobile phone or tablet? Your phone is basically being tracked every time you move. Yes – every time you move. A signal is being sent out as you walk through the mall, as you drive your car. What is this data being used for? Retailers will use that data to transmit “Sale of the Day flyers” to your phone as you walk through the mall. Restaurants will target customers in walking or driving in a 5 mile area letting them know about specials being served between 5 and 8 pm. Advertisers will be able to track your likes and dislikes as your phone travels around the city/world. They will know where you shop, what you buy, your favourite coffee and then you will be targeted with advertising for your specific likes. I guess it is better than receiving paper flyers from every box store in your region :). This is Big Data at its biggest. Just think every step you take is being recorded. Every coffee you order, every trip you take, every book you read. Tick Tick Tick, they are all being counted and a multitude of companies are analyzing this data and selling it to advertisers. Google and Facebook are the gods of Big Data. We’ve all seen that commercial by CIBC – take a picture of your cheque and deposit it automatically. Wish I had it today, last thing I want to do is head to the bank when it is -20 outside. Apple Pay is coming to Canada, maybe as early as March 2015. Get rid of your wallets, now you only need your iPhone6 when you go shopping. Google Wallet is the android equivalent app. But don’t leave your credit card at home quite yet, even though more retailers are offering this service it is still quite limited. How often do you lose your car keys? Your purse? My eyeglasses at least twice a day. Well let me introduce Pixie – the Location of Things. All you have to do is attach “Pixie Points” to things, anything. Then your mobile phone (yes your mobile phone knows more about you then your mother) can find anything you have pixied. The other great thing about this app is you can categorize items together – i.e. do you travel a lot – then pixie your passport, your medications, your travel documents, chargers, etc. Before you leave check the app to make sure they are all in your bag. No more “Mom where is my knapsack” just PIXIE it. Are you excited about any new innovations? Do you have an iFit watch? I would love to hear from you about your favourite IoT or what you think the future will bring. Privacy is a hot topic during the Digital Revolution. Whether we’re talking about our right to it, how to maintain it, or who gets to ignore it, it is a multi-faceted topic that is always in the media. This blog is no exception. You can check out some of our previous articles on privacy by clicking here, here or here. This week we are again addressing our right to privacy in the digital world. Privacy is once again making headlines with Facebook, by allowing for compatibility with the anonymous TOR browser. Together; they make strange bedfellows. Before we talk about this headline, let me first introduce you to the dark and deep corners of the internet. We all know what the internet is right? And we all know how it works – a bunch of tubes with cats in them. To put it simply, the Internet works because of open standards that allow every network to connect to every other network. A network being a group of two or more computer systems linked together. Data in the internet refers to content that can be indexed by Search Engine Spiders and bots. In short, when you type a search query into Google about LOL cats, Spiders search the data in the net to bring back those listed search results you see in Google or other search engines. But the Internet isn’t just this neatly organized information. If anything, the Spiders are like water bugs, and they just skim the surface of what makes up the depths of the Internet. It’s what lies beneath that surface where things get really interesting. The Deep Web is made up of dynamically-generated Internet content. This content can only be reached by using a search box on a Deep Web website. Surface Web search engines refer to Google, Yahoo and the like; pages I’m sure many of us visit at least once a day. These sites can lead you to websites that have a limited amount of Deep Web content. Think of it this way. Try searching for a Kickstarter project. Most of us start by conducting a Google Search. Google will show us some results, but not very many and certainly not very organized. These are surface web results. If you click on one of these results, you will be taken to a Kickstarter website. Kickstarter has its own search option to search its own website and databases. 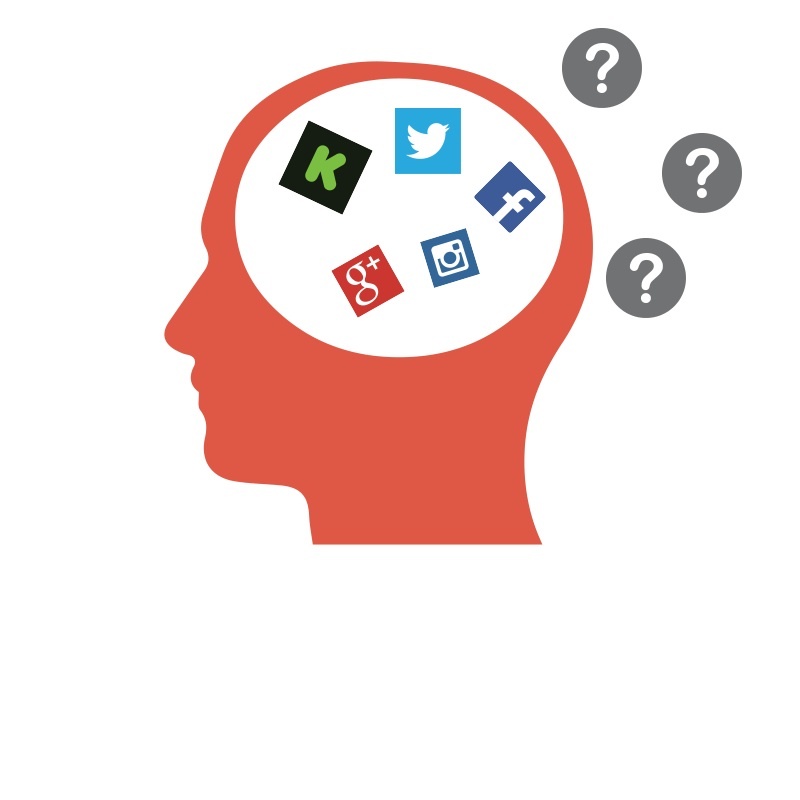 This Kickstarter search engine is an example of the Deep Web. In this example, a Surface Web search engine (Google) led users to a Deep Web website (www.kickstarter.com) where the search box brings up Deep Web content not found by using Google search. The Dark Web keeps things hidden or in the dark. It refers to web pages that have been concealed to either hide in plain sight, or exist in a separate but public layer of the Internet. The internet is built around Web pages that reference other Web pages. To use Google as an example again, a search with them references a bunch of other sites that you can then click on. However, if you have a destination Web page which has no inbound links you have concealed that page, and it cannot be found by users or search engines. What do I mean by that? Let’s use this blog post as an example. Now that it’s published, it’s searchable from both the surface web and the Deep web, using either Google or the WordPress search option. But I didn’t write this blog post today, or all at once. I wrote a draft and saved it for a few days before I published it. While it was saved but not published, it existed on the public Internet, but unless the exact URL was known, it couldn’t be found. That ‘online but hidden’ is a single example of the Dark Web. Hiding a hidden message within a Web page comment which would require knowledge of where to look. Looking at the html of a webpage, or the source code for example. Sub-domain names that are never linked to; for example, “internal.p4capital.com”. Images that are published but never actually referenced, for example “/image/logo_back.gif”. 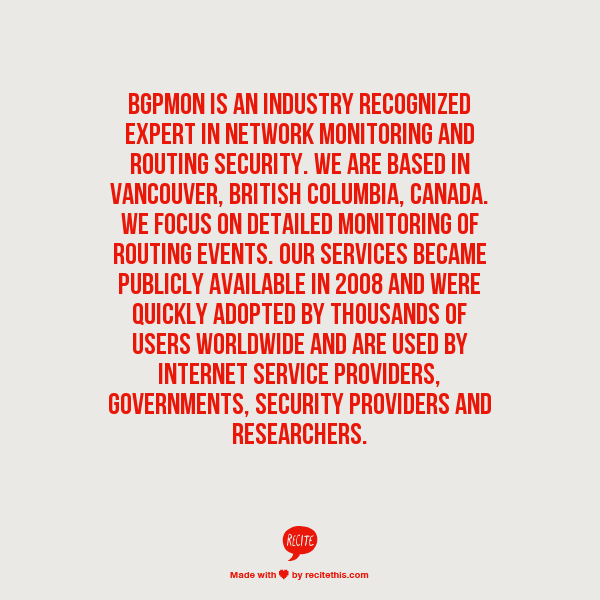 It was initially a worldwide network of servers developed with the U.S. Navy that enabled people to browse the internet anonymously. Now, it’s come to the masses as a non-profit organization whose main purpose is the research and development of online privacy tools. Yes, it’s logo is an onion. 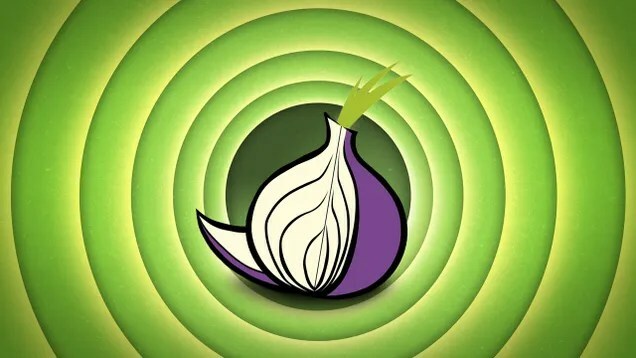 The Tor network disguises your identity by moving your traffic across different Tor servers. It then encrypts that traffic so it isn’t traced back to you. Anyone who tries would see traffic coming from random nodes on the Tor network, rather than your computer. To access this network, you just need to download the Tor browser. Everything you do in the browser goes through the Tor network and doesn’t need any setup or configuration from you. That said, since your data goes through a lot of relays, it’s slow, so you’ll experience a much more sluggish internet than usual when you’re using Tor. While it was already possible to use Facebook with Tor, the users were frequently mistaken for ‘hacked’ accounts. The Facebook account would then be ‘locked’ until this situation was resolved. This happened because one of Facebook’s security measures was that if a user tries to log-in from an unexpected location, it would flag the account as having possibly been compromised. Anyone whose had their Facebook account hacked knows how frustrating it can be to get control of it back. So we can’t criticize Facebook for these preventative measures. However, this incompatibility with Tor and Facebook meant a lot of accounts were being wrongly locked out. Other problems, such as fonts not displaying correctly, marred Facebook use on Tor as well. That all changed last week. Facebook is the very first Silicon Valley giant to provide official support for Tor. Users can now access the site “without losing the cryptographic protections” of Tor, Facebook said. It will still be slow, but Tor users will no longer have their accounts blocked, and fonts and text will display correctly. This may appeal to people in places where the Facebook is blocked, like China, Iran, North Korea and Cuba – which are all countries that have attempted to prevent access to the site. Could Africa be the next hub of technological innovation? After exploring the concept in our article Silicon Savannah, we decided to investigate further. With that in mind, we are beginning a series today written by an anonymous guest blogger. Although she was born in Canada, she lives in Africa in a position of importance now, and has for several years. Her blogs will all have ‘From Africa’s Perspective’ in the title. Enjoy her unique and informative viewpoint! I hear you from here… Burkina what? Burkina Faso. Capital Ouagadougou. Come on, it is not that difficult to pronounce. OUA-GA-DOU-GOU. There, you got it. Burkina Faso, the country of the honest man in Mossi, the local language. A small country in West Africa. Totally landlocked. Surrounded by Côte d’Ivoire, Mali, Niger, Bénin, Togo and Ghana. Among the poorest countries on the planet. Ranked 181 out of 187 countries on the 2014 United Nations Human Development Index. Population 17 million. Maybe. In a country where traditionally mothers did not count their children until they reached the age of 5 given the high mortality rate, that number is at best an approximation. What is known is that the birth rate is only second to Niger, with 6 children per woman. Nearly 65% of the population is under the age of 24 years old. The state of the infrastructure is sad. Water purification plants are obsolete and almost non-existent outside the two largest cities, Ouaga and Bobo Diolasso. Mind you, even in town, their state of order does not inspire confidence. You would never, unless you have a Montezuma’s revenge wish, use that water to brush your teeth. Ditto for the electrical grid, which is experiencing increasing stress thanks to the urban migration. Power shortages are so common, be it during the rainy season or the hot season that nearly household has an generator. If only not too loose the meat in the freezer, or getting the bedroom aircon working so that you have a restful night. I am still amazed to see people at work, relatively productive, when the night temperature does not go below 30 degrees Celsius, and you know that they do not have an aircon or fan because they cannot afford it. Outside the main cities, the roads are not paved. Mind you, they are not grated either. There is no road equipment for that sort of work. During and after the rainy season, which was quite generous this year, the state of the roads are impressive. Not by their smoothness. By the holes created by the traffic and the rain… well, ok, it is more like small pools, you are right. Those who can afford it have 4×4. Not for status, but for necessity. Small cars get quickly damaged by the state of the road. Even our 4×4 got damaged by these bumps and holes. Believe me or not, we hit the bottom of the car and damaged something, not sure what. Will finally be repaired this week, thank you very much. That was quite a nasty bump. And no, we were not speeding. Well, I don’t think that 20 km an hour is speeding. Could be wrong -happened once before. For 8 months on the year, the temperature varies between the low and high 30, even at 3 in the morning. For two months, it varies between the low and high 40’s, hitting 50 in May. Seriously. The Mossi say that it is during the month of May that Burkinabè understand that they have a common border with Hell. The cold season lasts two months or so, December to February. Temperature can go down to 17 at 3 in the morning. This is when people wear their winter coat, their toques and mittens. Oh yes, it is cold on that motorcycle in the morning. Because motorcycles and bicycles are the most common mode of transportation for the majority of the population. There are enough cars to make driving a hell raising experience. Fighting for your place on the road with decrepit taxis and trucks and a large number of 4×4, with motos and bikes zigzagging among the traffic…yes, you do live the African experience. I still have not determined if I prefer the hot season, without sand, or the cold season with its Harmattan winds, coming from the Sahel and bringing with it heaps of dirty sand and dust. In a part of the world where toilets are not common, the desert and the countryside are often the public latrine. The Harmattan brings its lots of disease. The most deadly is the meningitis, the second killer in young children, after malaria. There is literally no garbage management of any sort. Yes, garbage is being picked up … and dumped somewhere. Mind you, recycling is heavy. There is someone going through your garbage to recuperate what can be of use. Plastic bags are everywhere. I keep joking about the plastic bags trees as the plastic bags often get caught in tree branches. Not funny, I know. Life expectancy at birth is 56.34 years. Literacy rate is 28%; much lower in women. School attendance at high school is 26%, mostly boys as girls need to help in the house. The quality of education is poor. The average class size is 48. Larger in the country side. 81.1% of the population life below 2$ a day; 44.6% below 1.24$. Burkina has been my country of temporary residence for the past three years. And is spite of these statistics and these facts, and many others, what impresses is the resilience of its people. Système D as we say in French, Système Débrouille. Vaguely translated as System Make it Work. And their use of technology. I was asked if I would be willing to write a few articles on the state of technology in Burkina Faso. I thought it could be interesting. These will be based on my observations, my discussions with friends and people who know the area and are generous enough of their time to help me. It is by no means a serious analysis on the state of technology in the country and the region. What would you do if the Internet ceased to exist? It’s hard to believe that just a couple of decades ago there was no online or offline; no Facebook, Twitter or Instagram. People watched television through cable, and entertainment was a different world entirely. I was a child when the Internet was just starting to become the behemoth it is today. When faced with that same question, I don’t have an easy answer. Some people were forced to experience life offline last week, when large parts of the Internet were overwhelmed and shut down. Instead, the Internet fell to its own hubris. In other words, it got too big too fast and couldn’t handle it’s own growing pains. May I present to you as a day that may go down in history the day North America went offline: 512K day. For those of you don’t spend your life online, a week ago Tuesday large swaths of webpages and networks suffered from a series of outages and disruptions. Many Internet service providers (ISPs) experienced technical problems that resulted in bad service. There is a reason for that. Surprisingly enough, it’s a hardware issue. The Internet is built on IPs, which stand for Internet Protocol. Think of them like Postal Codes (or ZIP codes for our readers in the United States.) IPs allow computers to Network together while being aware of where they are in relation to each other. 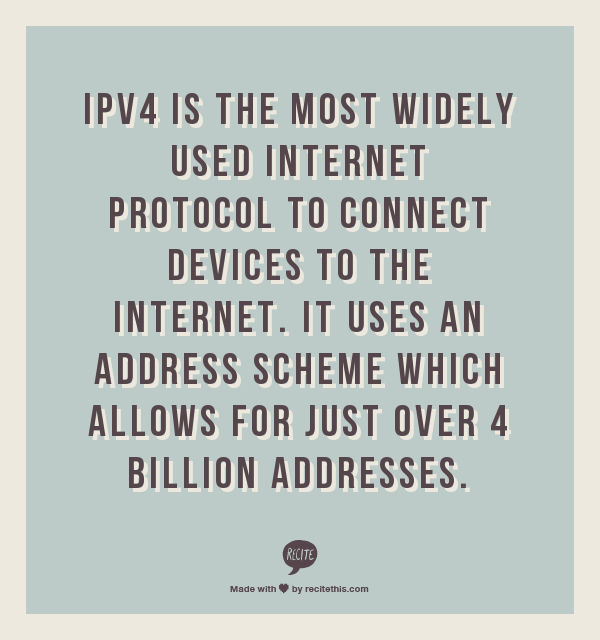 With the growth of the Internet it is expected that the number of unused IPv4 addresses will eventually run out. This is because every device , including tablets, computers, smartphones and game consoles, that connect to the Internet requires an address. IPV6 is the next generation of Internet Protocol – it allows for many more addresses than a measly 4 billion. These IPs need to connect to routers. Internet traffic is designed to flow in the most efficient way. 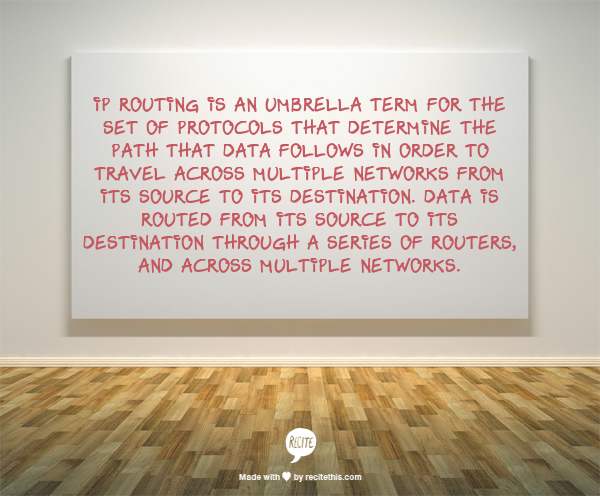 This means frequent updates between IPs and Routers that describe how networks should connect. Some routers, namely the ones that still function with IPV4, can only accommodate 512,000 of those updates in memory. The problems lies in that the majority of the Internet is still running on IPV4, and although people are hurrying to upgrade the system, this exchange is just moving too slowly. That’s what caused the Internet crash last week. 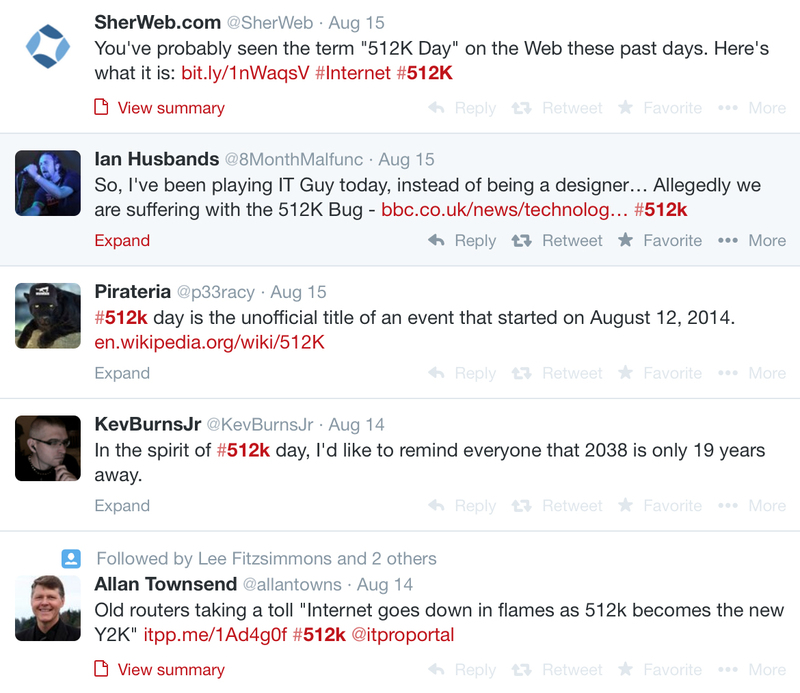 Hence the name 512K Day. As we all know, problems with ISPs mean problems for the rest of us. Many websites were completely knocked offline as a result, and many more were running at a fraction of their usual speed. As a result of these problems, some Web hosting companies, such as LiquidWeb, and its sites had been effectively knocked offline. The issue, which many people have known about for a long time, happened because those 512K routes were exceeded. I’ll stress this now; the ISPs were prepared for this to happen, just not as soon as it did. We all have Internet service provider Verizon to thank for this. A bug forced Verizon to dump 15,000 new internet destinations onto the network for about 10 minutes. That’s much faster and heavier than the IPs and the Routers were prepared for. The router can switch to a slower mode, resulting in sluggish performance. Some destinations may not end up in the table at all, making them unreachable. The network operator may have to reboot the router, resulting in a few minutes of instability. More alarming? It’s not over yet. Now, the Verizon bug was fixed but really it just spend along the timetable. Last week was a taste of what’s to come in the approaching months. Network analysts are estimating that the number of routes will exceed 512K within a month. However, it really isn’t all that bad. Like I said before, ISPs have known this was coming for quite a while. They are updating the infrastructure of the Internet to allow for routers and IPs to exceed that 512K marker.Newer hardware, like the IPV6s, are completely unaffected. Most of the damage is restricted to the older and smaller parts of the Internet. Cisco even warned its users about this back in May of 2014. That means this 512K issue is more of a mild nuisance than a threat to the Net. Overall internet slowness if they rely on an internet service provider that’s affected. Slowness for certain websites or services that rely on affected internet service providers, even if their own ISP is not affected. While the Internet sorts itself out, maybe all of us should pick up a good book, huh? Transparency for corporations is always a good thing. It lets us know what they are doing, how they are impacting our environment, and how they are affecting us. Getting corporations to be transparent is usually easier said than done, however. In a surprising but perhaps not unexpected move, the Federal Communication Commission’s IT team has made all the comments that have been submitted on its “open internet” net neutrality proposals available to download in a bunch of XML files. There are a lot of comments, 1.1 million in fact. So many that these XML files make up 1.4 gigabytes of data. That’s the highest ever for an official proceeding. All 1.4 gigabytes of these XML files are filled with net neutrality comments from the public. The FCC posted them all last Tuesday. That is a lot of data. To put that in perspective, the data in these files is is approximately two and a half times the amount of plan-text data in the Encyclopaedia Britannica, , according to FCC’s Gigi Sohn. The blog TechCrunch was brave enough to go through them – and claimed that the sheer size of them made their Chrome browser freeze 10 times in one afternoon. If you’re brave enough to risk the sheer size of these crashing your computer, you can check them out for yourself HERE. I tried to take a look at them as well, and after several frozen computer screens, I was finally able to get a look. There are a lot of comments. Some of them are quite well phrased while others devolve into the name calling and insults typical for trolls on the internet. Below is one of my favourites. solution to a problem that doesn’t exist. TechCrunch did a count of how frequently certain words and phrases popped up in the two xml files they managed to open. Comcast got 4, 613 comments. TechCrunch also threw in some interesting graphs that I won’t post here. I recommend checking out their article on this bit of news for yourself though. You can check it out HERE. The FCC has vowed to review every single comment. They released the data in these .xml files in the hopes that the machine readable format will “allow researchers, journalists and others to analyse and create visualizations of the data so that the public and the FCC can discuss and learn from the comments we’ve received,” said Gigi Sohn. Of course, these comments have been available on the FCC website since they were submitted, but the pages they were stored on were difficult to navigate, and only one comment appeared at a time. 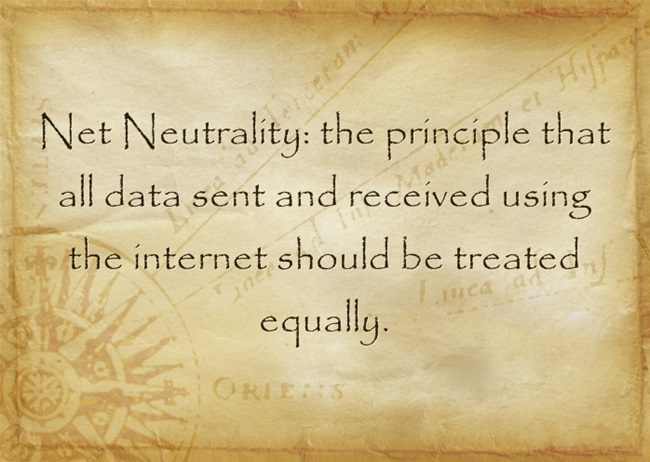 We’ve already written a blog explaining what Net Neutrality is, and you are welcome to check it out HERE if you like. John Oliver also provided a fantastic description of Net Neutrality during his television show Last Week Tonight back in June. You can watch and enjoy below. Quite a few of the comments found in this 1.4 GB of data were probably a direct result of John Oliver’s call to action. Shortly after this program aired, the FCC website crashed under the sheer volume of comments. Will it do any Good? That is the million dollar question. Internet service providers spent over 40 million dollars in the first two quarters of this year lobbying regulators and lawmakers. To break that down, it’s about $10 spent on lobbying for every comment that was submitted to the FCC. Can all these comments and opinions really beat out $40 million dollars of lobbying? The public now has until September 10 to file reply’s to the comments that have already been submitted. After that, the FCC will review the comments and begin final drafting rules. It can sometimes feel like the Digital World begins and ends with Privacy. Whether it is Google and its controversial ‘right to be forgotten’, or sites like Facebook experimenting on their users without consent, what we do on the internet and who gets to see it are huge issues that are being hotly debated the world over. Which is why the ability to remain anonymous has become the holy grail of Internet commerce. A slew of new Apps and updates of existing ones are boasting new and improved ways for its users to remain anonymous. WHY IS ANONYMITY IMPORTANT ONLINE? Do you want everyone to know everything about you? Yes, you may want a potential employer to see you handing out food at a soup kitchen, but what about that shot of you doing body shots at the bar last week? Anonymity is necessary and important to everyone who doesn’t want their entire life revealed with a simple Google search of their name. Picture a data broker out there logging everything you have ever said or shown interest in. Imagine that they then sell that information to the highest bidder, whether it be an advertiser, a corporation or a person. On the other side of the spectrum, some people will only publish or say certain things if they can be guaranteed they won’t be prosecuted for it later. Remaining anonymous is a simple way to do that. The ability to be anonymous has given items of amazing cultural importance to our society. Works by Voltaire, Benjamin Franklin, Zoe Margolis and others were all published under assumed names. For those Science Fiction geeks out there, how many fantastic female authors would have been ignored and never published in the 1960s if they weren’t able to use pseudonyms. The first amendment to the US constitution recognises its importance and grants substantial protection to anonymous speech. Anonymity is important to everyone to some degree. In the tremors of the digital revolution, it can be a difficult thing to come by. Below are some examples of the anonymous features and apps that have recently come onto the market. Want to say whatever you want but don’t want to get caught? The new service Leak may let you do it, all while keeping your identity a secret. The truth can hurt after all, and no one wants to be the bearer of bad news. Leak is a web service that lets you send anonymous emails to people. All you have to do is put in a recipients’ email, choose the type of relationship you have with that person and send off your message. Leaks are only seen by one person and are not broadcast publicaly – unless of course the person who received them wants to share it on their own social networking site. The Leak service is still pretty basic; you can’t send attachments or files. It does have a newsletter though, where users can receive the best Leaks of the week in their in-boxes. Whisper is an anonymous social network. It’s done in the style of the PostSecret books of a few years ago. Instead of mailing in their secrets and the postcards being published in a book, Whisper does everything digitally. It allows people to express themselves anonymously. People type their secret on an image of their choice (as long as it follows regulations) and email the file in. It is then posted on the Whisper website. Everything on Whisper is completely anonymous. They do not collect any personal information from users. The only search feature on the site is for topics, and not user profiles. AirBNB is getting on the band wagon as well. It has just announced a feature that will make all emails between hosts and renters anonymous. In the past, after a booking was arranged, the the private email addresses of the landlord and the renter would be revealed to allow them to communicate directly. This direct communication is necessary to arrange details like parking and how to check in between the two parties. Usually however, after this single short term booking, users will likely never have any reason to communicate again. A lot of people were uncomfortable exchanging personal contact details with strangers. Now AirBnB will create temporary unique email addresses for each user in the conversation and forward these messages behind the scenes to the each user’s private email addresses. From the user’s point of view, nothing will change except that they won’t be able to see the counterpart’s personal email address. Longtime King of the social Media scene, Facebook is touting new anonymous features as well. Back at F8 in April, Facebook’s annual developers conference, they announced a new feature that will allow users to log into Apps anonymously. What that means is that you can can check out an app you’re not sure you want to sign up for without sharing your personal information. This extends to other sites and Apps that are connected to Facebook as well. Does Consent apply to Facebook? Facebook has violated your privacy. Well, okay – that’s nothing new. Facebook and its on again off again relationship with your personal details is a rocky road that always seems to be just on this side not okay. That is not news. This – this is something different. And this, is HUGE. Unless you’ve spent the last few days under a rock (or under a beer and a Barbecue, as it was the Canada day long weekend over the last few days) you’ve probably heard about Facebooks Emotional Manipulation Study. That’s right! What has been long suspected is now proven beyond a shadow of a doubt – Facebook is manipulating your emotions! It’s all thanks to this man – Adam Kramer. When positive expressions were reduced, people produced fewer positive posts and more negative posts; when negative expressions were reduced, the opposite pattern occurred. These results indicate that emotions expressed by others on Facebook influence our own emotions, constituting experimental evidence for massive-scale contagion via social networks. This work also suggests that … the observation of others’ positive experiences constitutes a positive experience for people. Scientifically speaking, the study is unique in some ways and pretty ordinary in others. The sample size of nearly 700 000 people is truly huge – possibly the largest in the history of psychology. The results are interesting in that they show that very small changes in the emotional state of our environment can effect how we feel and act on our social networks. On the other hand, the effects in the study are tiny, among the smallest significant results ever published. Here is the disturbing part though – Facebook didn’t ask for permission before conducting this study! In fact, the only reason anyone knows about it is because Cornell and their cohorts published their findings in a journal last week! When this study was published, people were rightfully angry to find out that a social media site was, essentially manipulating users emotions for science without asking them first! A lot of critics were saying that Facebook should have made sure to acquire informed consent before conducting a study like this. Facebook responded by saying that they had permission – from it’s Data Use Policy: The researchers took advantage of the fine print in Facebook’s data use policy to conduct this scientific experiment without informed consent. Even though the academic researchers worked with Facebook when designing the study, it appears that they only obtained ethical approval after the data collection was finished. Since the data was already collected, the ethics committee that granted approval seems to have awarded it an “approval lite”. It seems like the Facebook researchers exploited an ethical loophole. More disturbing, there is no age filter set on the study, so it could very well have included users younger than 18. Informed consent is a core principle of human research ethics, established in the aftermath of the second world war. In important cases where the question is deemed vital and consent isn’t possible (or would prevent a fair test), it can be legally bypassed. But this is rare, and it is doubtful whether the Facebook study would qualify for such an exemption. Here’s the kicker though – it wasn’t until four months after the study, in May 2012 that Facebook made changes to its data use policy. That’s when it introduced that line about how it might use your information for research. Facebook is facing more than just user backlash following news that the social network was intentionally manipulating user emotions during a 2012 experiment. The Information Commissioner’s Office (ICO) is a data regulator in the United Kingdom. They announced on Wednesday that they are investigating whether or not Facebook violated data collection laws. At this point, the ICO is unsure whether or not Facebook actually broke any laws. However, since Facebook’s European headquarters is based in Dublin, the agency plans to contact Ireland’s data protection group about the matter, according to the Financial Times. The IOC can “force organizations to change their policies and levy fines of up to 500,000 British pounds [about $857,000],” the FT wrote. Financially, that fine won’t really hurt Facebook. Afterall, it brought in $2.5 billion in revenue last quarter. Instead, any type of monetary fine would be symbolic. Sheryl Sandberg, Facebooks COO issued an apology on Wednesday. She admitted that Facebook ‘Communicated Really Badly’ about its experiment on users. Despite all this fallout, Privacy experts in the U.S. are saying that it is unlikely that Facebook broke any laws. An official complaint has been filed to the US Federal trade commission as well. The complaint was filed by digital rights group the Electronic Privacy Information Centre (Epic). Facebook said it has no comment to make about the complaint. 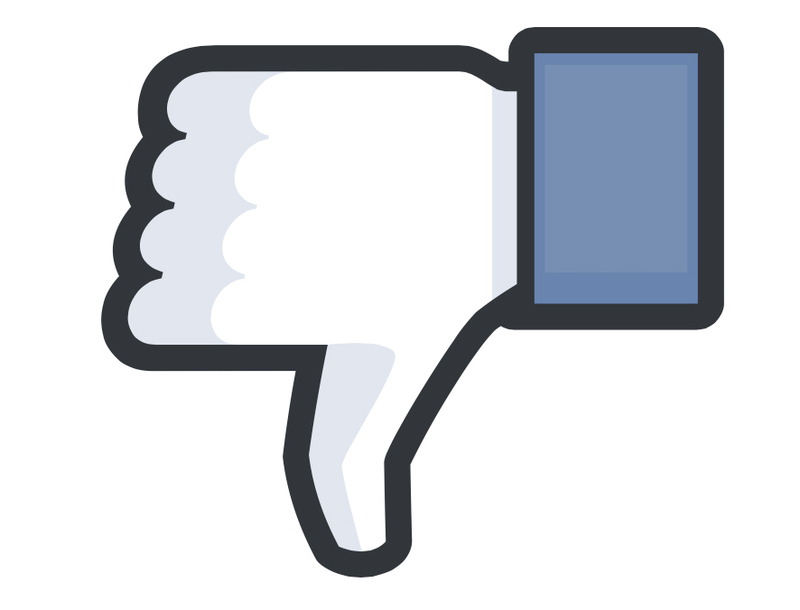 Epic wants Facebook to pay damages and to hand over the algorithm underlying the work. When creating a resume it is important to keep in mind the purpose of your resume; to get an interview. That is the only purpose of your resume. Getting the job happens in the interview stage. You need the resume to open the door so that you can then “sell yourself”, “show off your personality”. Keeping the purpose in mind when you create your resume will ensure you receive interviews for the positions you are looking for. 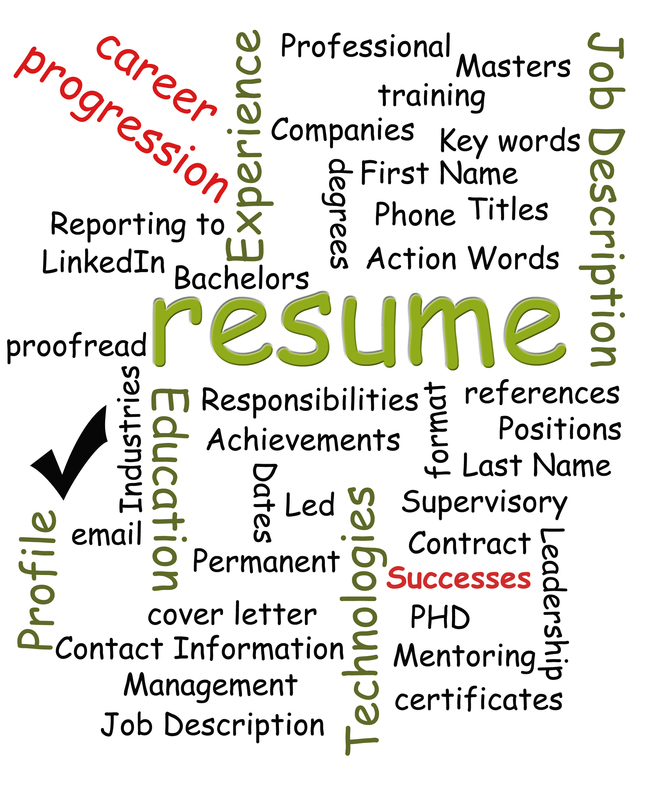 When choosing a format or layout for your resume remember the acronym KISS; Keep it Simple Stupid. Human resource departments and recruiting firms are inundated with hundreds of resumes a day. 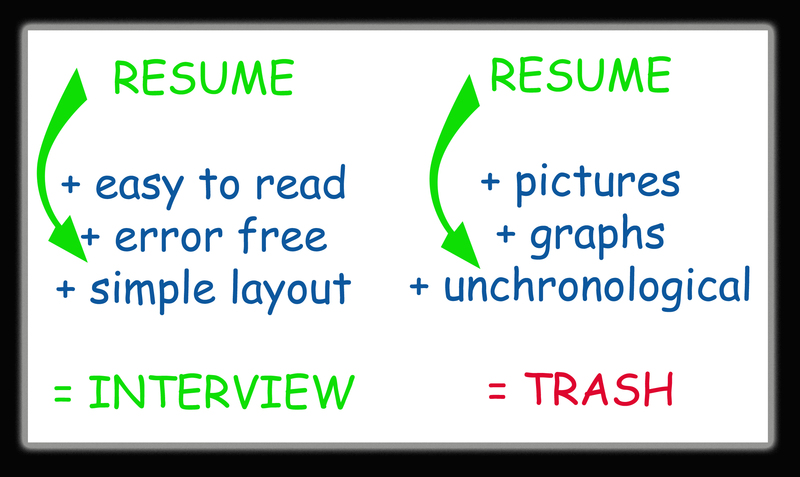 The most important thing the layout of your resume can do is ensure you are not immediately discarded. ATS systems read words not graphics and pictures. The people reading your resumes don’t want to have to search through a resume to find the relevant information and they most certainly do not want charts, graphs, tables and pictures making it harder for them to find the information they need to see. Many large recruiting firms help you to rewrite your resume but if information is in boxes that doesn’t transfer over to the system properly then they may lose important information. Also remember that recruiters have to get information turned around quickly, if the resume is difficult to interpret they may just move onto the next candidate. Bold, underlining, left/centre/right justified and the occasional bullet is as complicated as your resume layout needs to be. Don’t make the font too little and stay away from gray. With my love of quotes I couldn’t resist quoting the basic “black and white” philosophy. 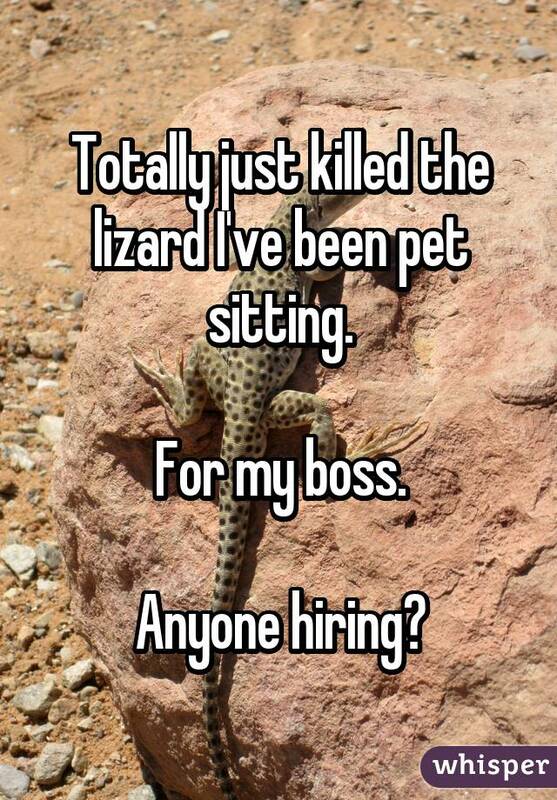 The same goes for your resume. White paper/background and black fonts. Easy on the eyes and easy to read. One of the biggest mistakes people make when creating a resume is that they create one resume for all jobs. Customize your resume for each and every position you apply for. The way we suggest doing so is the inclusion of a personal profile section. This section should be no more than two or three sentences and is not an opportunity to tell your life story. This section IS an opportunity for you to list the actual skills that you possess that are relevant for this position in relation to the job description. Here is an actual job description for a Clerical / Administrative Support position with a major insurance company. You are essentially confirming that you meet as many requirements listed in the job description as possible. Each sentence should start off with a strong “action word”. The one section that should be expanded upon as much as possible is often the one people neglect the most. Companies know when they hire you that you don’t know everything and that you will need to be able to learn in order to succeed. Listing your education in detail and any and all further training you have taken demonstrates that you are someone who is willing and capable of bettering yourself through learning. Now keep in mind that you want to highlight the education that is key to the position you are applying for. If the certificate/training has nothing to do with the current opportunity then leave it off or put it in as an addendum. Education should have your highest degree/diploma first. You are a professional show your degree. Next would come certifications and then training. This section is particularly important for technical positions. Be sure to include any certifications you have received already and don’t be afraid to list any that you are in the process of obtaining as well. Your Education section should be right after your professional summary and be above your professional experience. The nitty gritty section of your resume. This is where the question “Do you actually have the skills and experience to do the job are answered”. It is important to list your current position first and then go back from there. Don’t get fancy, just list each job as they happened. 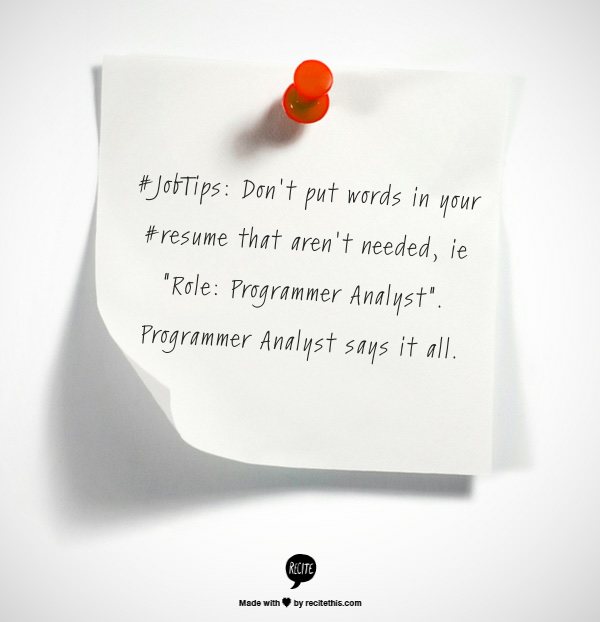 Don’t break it down by type of job, ie project manager vs business analyst positions. Don’t break it down by self employed vs full time. HR wants to see a history/time line of what you have been doing. Achievements/responsibilities should be presented in bullet format. Yes, start each sentence with a POW – the wonderful action word!!!. Do NOT use “I created” or “John increased” , just start the sentence with “Created”, “Increased”, “Developed”, “Mentored”, need I go on. Expand upon what your actual achievements/ responsibilities were while at your positions. The number of bullets will depend on the length of time at each job and the type of responsibilities/ achievements you had. The job from 1993 probably doesn’t need to be as expansive as the more current positions. Remember the job description and do your best to make your achievements/ responsibilities similar to what the company is looking for. It is not necessary to list every position you have ever had. Particularly if you have been with ten companies over the last 25 years. Keep your work experience section to no more than two pages. Check out our sample “self employed resume” blog from a previous post. No more than 3 pages. Cover letters are a good idea but a bad cover letter is worse than no cover letter at all. Keep in mind the resumes purpose is to gain you an interview not to get you a job. Your dazzling personality will get you the job, once you get in the door. Lynne Carlson started her career off in administration, moved to Cobol Programming and for the last 14 years worked in all things recruitment. Absolutely loves social media and excited about all the new innovations appearing every day! #JobTips: Call Your #resume file, either doc/pdf/txt file after your full name, ie johndoe.doc. Easier for the recruiter to find it.